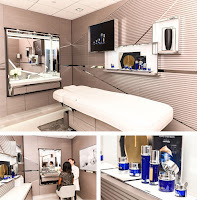 Air101: Air France offer beauty treatments at its New York JFK premium lounge. Air France offer beauty treatments at its New York JFK premium lounge. 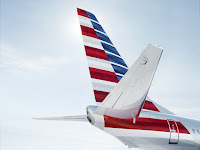 On Wednesday, February 6th, European carrier Air France inaugurated its new beauty treatment centre in its terminal 1 lounge at New York-JFK airport. The airline has formed an exclusive partnership with luxury beauty and skincare specialist, la Prairie for the centre. The upgrade follows on from revamping its dining area in December and the introduction of new additions dedicated to its customers’ well-being. This new space spanning 30 sq. m, is decorated in La Prairie’s emblematic style, is accessible to La Première and Business customers and Flying Blue Platinum and Gold members. It is equipped with two private beauty booths with a massage table for the longer treatments, like in a real beauty institute.